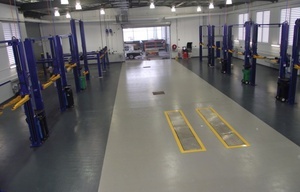 Epoxy flooring is an extremely functional and resilient option for residential, industrial and commercial premises. It has a smooth, seamless appearance with a comfortable feel under foot. In simple terms, it is plastic liquid poured and rolled onto a concrete floor. 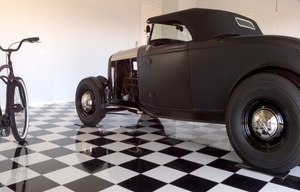 It sets extremely hard creating a highly durable and attractive floor surface. 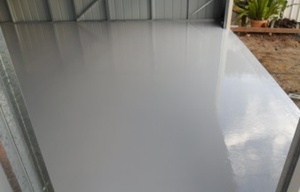 Our process involves expert grinding and etching of the concrete floor to create a bonding surface for the epoxy coating. 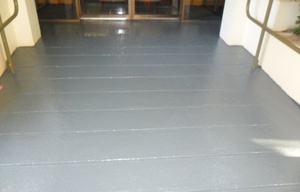 We then apply a base coat followed by the second and final coat. 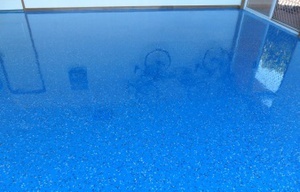 At each stage we very carefully apply the epoxy to ensure a smooth and continuous surface. You can choose from a wide range of colours or simply use a clear epoxy to enhance the natural look of the concrete surface. There are also options for the final finish including matt, semi-gloss, high-gloss or even a patterned finish. 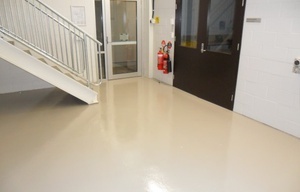 It's important to us that you make the right decision about epoxy flooring. Call or email us for obligation free advice or a no pressure quote.